Children at the Michael R. White STEM School helped assemble the 3,280 triangles in this three-dimensional mural, designed by Jared Akerstrom. Akerstrom prototyped and cut the triangles at think[box], and he installed the mural with assistance from think[box] staff member and PAA artist-educator Marcus Brathwaite. Photo by Jared Akerstrom. was created by PAA artists Marcus Brathwaite (a think[box] staff member) and Ainsley Buckner with children at the Mound STEM School. Photo by Jared Akerstrom. In her art/sci profile, Santina Protopapa, founder and executive director of Progressive Arts Alliance (PAA), remarks that Case Western Reserve “continues to be an important resource in my current endeavors.” One of her favorite examples is her organization’s partnership with think[box], the university’s center for innovation and tinkering. Founded in 2012, think[box] is a lab where innovators from the university and the larger community can design, fabricate and test new devices and engage in creative endeavors. It is equipped with 3-D printers and scanners, laser cutters, printed circuit board routers and an array of other high-tech equipment. Currently housed in the Glennan Building, think[box] will eventually occupy a seven-story, 50,000-square-foot campus facility (the former Lincoln Storage Building). The first phase of renovations is currently underway, and this August the lab will move into the first three-and-a-half floors of the newly renamed Richey-Mixon Building at the Case School of Engineering. PAA’s artist-educators have devised several ambitious projects for Cleveland schoolchildren with assistance from think[box]. For example, fourth graders at Mound STEM School learned about electricity by building a 10-foot-arch that glows with light-emitting diodes (LEDs). 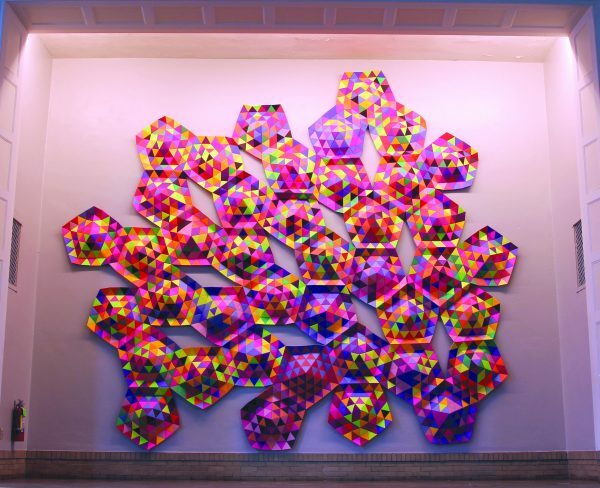 Children at Michael R. White STEM School helped assemble an enormous geometric installation made up of 3,280 posterboard triangles, all produced at think[box], which the students fastened together into Platonic solids. 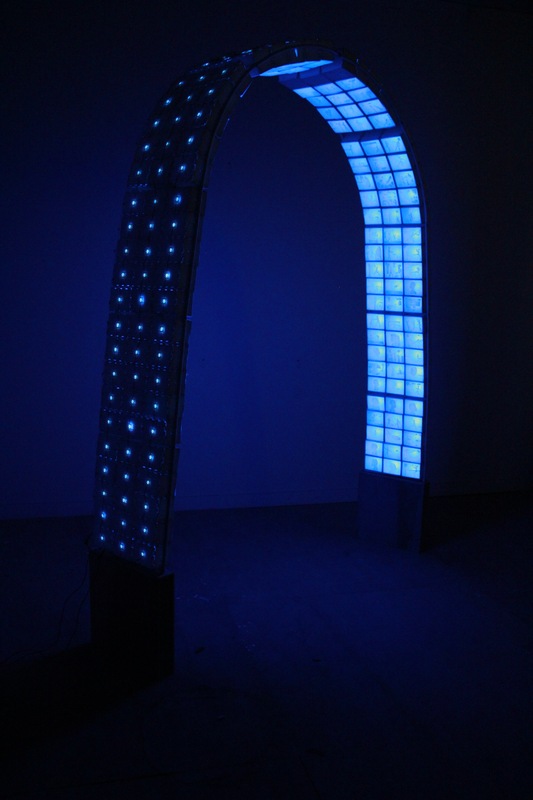 Artists Ainsley Buckner and Marcus Brathwaite used several think[box] resources to develop the LED arch. For instance, they produced custom-made circuit boards with labeling that showed the students where to solder the wiring for each bulb. They had the children make drawings by hand to decorate the sculpture; then, at think[box], they scanned each drawing, sent the digitized image to the laser cutter and lightly etched the image onto a piece of mylar—the translucent, papery material that eventually covered the arch. Both the LED arch and the geometric mural are modular projects; in each case, the whole is made of single units (a box with a diode inside, an equilateral triangle) replicated many times over. And both were designed to engage students in collaboration. “I want the children to experience what it means to have everyone participate in a thing in order for it to be successful,” Brathwaite says. Jared Akerstrom, the lead artist on the mural at Michael R. White, feels the same way. During a family night at the school, parents and grandparents as well as children pitched in to combine thousands of triangles into polyhedrons. While prototyping the triangles at think[box], Akenstrom had figured out a way to attach tiny hooks that would make the job easier and ensure that the Platonic solids stayed intact.